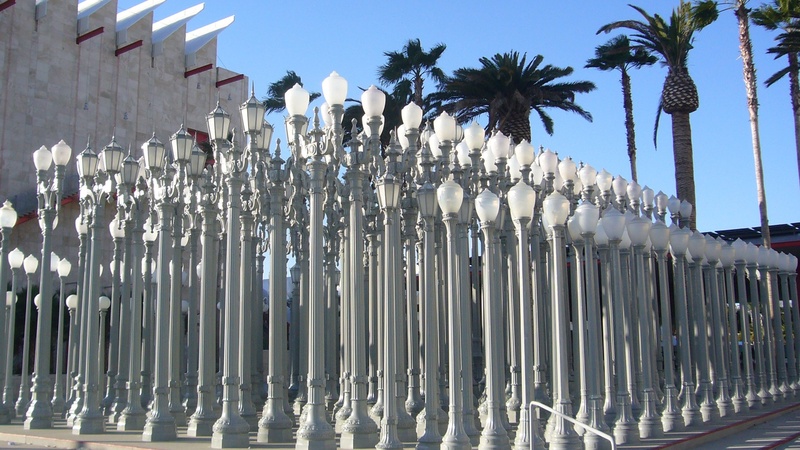 Los Angeles conceptual artist Chris Burden died over the weekend in his Topanga home. We look back at his work and life with LACMA director Michael Govan and art critic Jerry Saltz. Next, we hear from the author of the new book The Gluten Lie, which debunks popular myths about which foods are universally bad for us. And finally, with university tuition higher than ever, we have a discussion about whether college these days is worth the cost. Banner Image: Urban Light by daylight as seen from Wilshire Blvd.